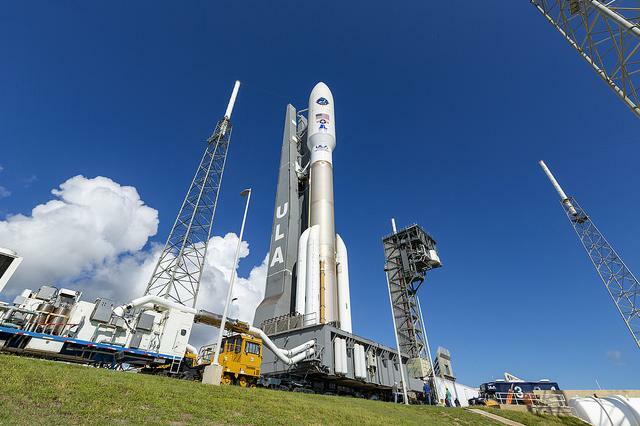 Oct. 16 (UPI) — United Launch Alliance launched the fourth Advanced Extremely High Frequency satellite into space for the U.S. Air Force a little after midnight on Wednesday morning. The rocket was rolled out to the launch pad Monday afternoon, preparing the 197-foot rocket for take-off. The AEHF system is intended to be a joint-service communications system that provides “survivable, global, secure, protected and jam-resistant communications for high-priority military ground, sea and air assets.” It is expected to provide 10 times the coverage of the 1990s-era system it replaced. Wednesday’s launch, the 131st for ULA and 79th for an Atlas V rocket, can be viewed on ULA’s YouTube channel.